... to be a Christian community which is welcoming and inclusive. ... to be a Christian community which nurtures all within its fellowship. ... to be a Christian community which is 'good news' in the wider community. 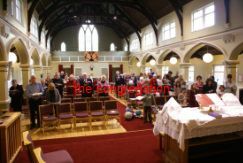 Worship at Rutherglen URC is held at 11am each Sunday and all visitors are made most welcome. Check our calendar below for the latest worship and communion information. At Rutherglen URC we have groups for everyone. The J-Team and JOY (Journey Of Youth) meet on a Sunday during morning worship. Find out more about our community and the groups which use the Rutherglen URC building, or make a hall booking enquiry with our hall convenor. Rev John Sanderson B.D came to Rutherglen URC in 1998 having studied at Edinburgh University and the Scottish Churches Open College and undergoing ministerial training at the Scottish Congregational College. He is married to Lindsey and they have two daughters, Hannah and Morven, and a dog named Hamish. 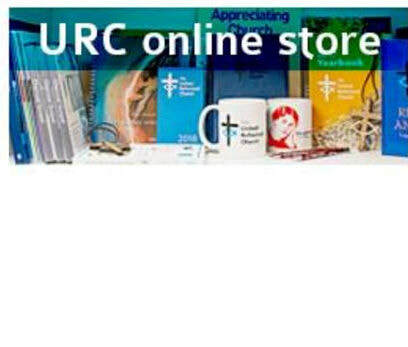 ﻿﻿Find out what's going on at Rutherglen URC on our Facebook page. ​This calendar is as accurate as possible for the next year . if you want to check details of anything. We meet every Sunday at 11:00 and everyone is welcome to come and join us. Our services offer something for everyone both young and old. There'll be somebody at the front door to welcome you - they're there to help you: ask them about anything you would like to know, from what is going to happen, to where the loo is. They'll give you what you need for the service, including our weekly intimation sheet - you can take this home with you. If you arrive after the service has started, and the doors are closed, there is a bell on the right hand door frame. If you press it someone will let you in. We have a weekly intimation sheet. If you would like to receive this be email please click the link below. Our halls are available to book. We have a large hall, two meeting rooms and generous kitchen facilities, in addition to the church itself which has flexible seating arrangements including a cafe-style layout. The online booking enquiry form can be used to find out more about our facilities or to discuss your booking requirements. The Halls Convenor will be in touch to discuss your requirements further. Further information is on the Hall Hire page.